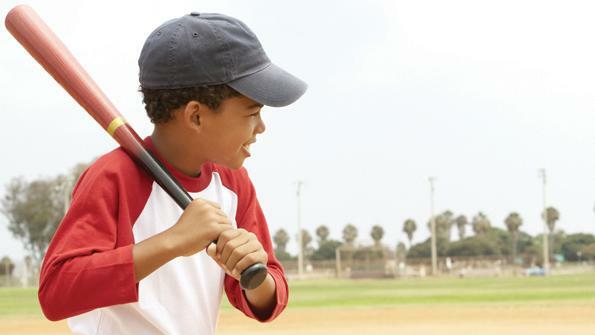 This article appeared in the June 2012 issue with the headline, "Keeping them swinging." When parks and recreation officials in Elizabeth City and Pasquotank County, N.C., made the decision to merge their two departments into one, the timing was ideal. The merger began taking effect just as “the economy went south,” says Jeff Simpson, golf course/athletic complex superintendent. The merger has helped the city maintain a high level of parks and recreation services in the face of deep budget cuts. Throughout the past few years, parks and recreation departments across the country have faced budget shortfalls, translating into smaller staffs and fewer resources. But despite the dwindling resources in many cities and counties, some departments have found ways to continue providing the programs and services their residents have come to expect. Elizabeth City and Pasquotank County even added several new facilities, converted the greens on the nine-hole municipal golf course to Bermuda greens, and launched a new youth baseball and softball league just as the economy tanked. “The merger [allowed] us to form a larger workforce and pool our resources together, which in turn allowed us to better maintain our facilities and better serve the citizens,” Simpson says. While merging with other nearby departments may not be a viable option, parks and recreation professionals have found other, often simple, ways to keep their departments thriving during a downturn. “We have really had to look at ways in which we could save money, time and labor to get all of the work done we need to do,” Simpson says. Chesterfield County, Va.’s, Department of Parks and Recreation has decreased its budget by $1 million, or about 10 percent, in recent years, requiring cutbacks in services and programs, says Mark Askin, assistant director of parks. But choosing which programs to eliminate is never an easy decision. Askin’s first step was to determine the cost for each of the department’s programs, including youth sports, adult sports, classes, and school and library grounds maintenance. The team eliminated its least valuable programs based on the amount of revenue each generated. For example, instead of overseeing adult athletics programs and maintaining the facilities, the department now leases out two softball facilities and a field soccer facility to local groups that now manage team sports for adults as well as maintain the facilities. In addition to cutting back on programs, the parks department reduced its staff by eight full-time positions. Those cuts were made “mostly through attrition,” Askin says. Instead of 80 employees, the department now employs 72. Chesterfield County also reduced the workload for its remaining employees, especially those involved in grounds maintenance. For instance, rather than mowing non-game turf every week, the department changed to a 14-day mowing schedule. Because the local schools reduced annual payments to the department to maintain school grounds from $2.1 million to $1.8 million, Askin eliminated mulching at schools and reduced lining youth football and soccer fields to once every two weeks. The department also eliminated weekend athletic field maintenance to reduce overtime. “We were trying to still maintain our facilities’ integrity and quality but eliminate the cosmetic aspect,” Askin says.